This week is World Breastfeeding Week which this year is highlighting the importance of peer support for mothers who, all too often, do not receive adequate support to enable them to continue, or even begin, to nurse their child. Nursing can be a physically and emotionally draining time for some people along with being a wonderful and loving way to connect with your little one. It is so important to ensure adequate nutrition to support the body through the nursing relationship, whether it lasts for months or years. It is generally recommended for most people to consume 500 extra calories a day and plenty of extra fluids. Often when a new baby arrives however there is little time for focusing on preparing healthy meals and it is all to easy to rely on quick snacks or packaged food. The body will prioritise giving available nutrients to the baby so it is all to easy for the mother to become depleted. In Chinese medicine there is a saying, ‘one drop of milk equals fifty drops of blood’ referring to the tendency towards blood deficiency in nursing mothers which is exacerbated by lack of sleep and has symptoms such as pallor, dizziness, fatigue, dry skin, anxiety, poor focus and floaters in the eyes. Some also believe it pre-disposes us to post natal depression. Ensuring a healthy nourishing diet is especially important for mothers who tandem breastfeed or have fed more than one child in close succession. Take a high quality multi-vitamin. Breastfeeding, pregnancy and other times of physical or emotional stress are times when it is really worth ensuring all your bases are covered with a good multi-vit. Ensure an adequate intake of protein. When nursing you are supporting the rapid growth of another person as well as sustaining yourself so it is even more important to ensure you include high quality protein with every meal. If you are a vegetarian as I am, then it is even more vital to be aware that you are not just filling up with carbs. I found it really helpful to pack my freezer with meals I made before my baby arrived to help sustain me in the first weeks. Try to include dark leafy greens every day as they are rich sources of minerals that help to build the blood. Include herbal blood tonics such as nettle nourishing infusions and other herbs that are rich in iron such as ashwagandha, both of which will boost vitality in a variety of ways. Ashwagandha is nice taken mixed with shatavari – another Ayurvedic herb (1 part ashwagandha to 3 parts shatavari) in powder form in a small glass of milk to aid assimilation. Shatavari has traditionally been used to support breastfeeding. Add oats to the diet, another traditional method of promoting breast-milk. When considering herbal support for breastfeeding we can think of herbs that promote quality and those that promote quantity of milk, though in some cases the same herbs will do both. Nourishing herbs, full of vitamins and minerals will help to improve the quality of the milk where as those that promote the quantity are commonly known as galactagogues. Nourishing herbs like nettle, milky oats and oatstraw, raspberry leaf and alfalfa are all wonderful, mineral rich herbs that help will support the whole body when under any kind of stress. They are also gentle galactagogues that are safe to take by most people. Shatavari, mentioned above, also falls into both categories as a general adaptogenic herb that also increases breast-milk. Galactagogues are herbs that promote breast-milk production. The majority of women will have an adequate flow of milk and many will in fact have an excess until it balances out to meet the baby’s requirements after the first few weeks. Some however do need additional support to get things flowing and many will experience a dip in production at some point in their nursing journey. Many traditional galactagogues are aromatic and these are thought to work in part because of their anethol content, a constituent found widely in essential oil containing plants like fennel, fenugreek, caraway and anise. 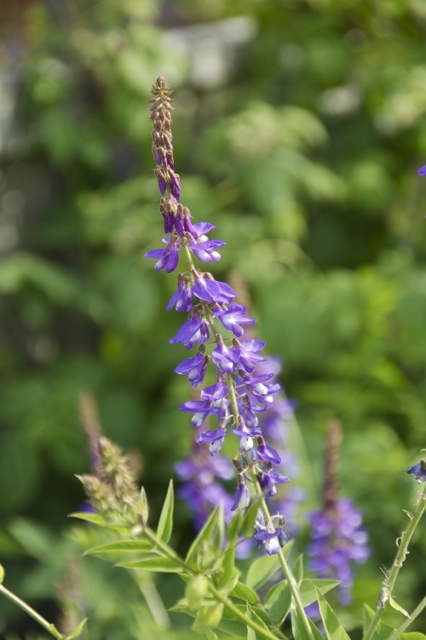 Other useful galactagogues include goat’s rue, holy thistle, marshmallow and milk thistle. 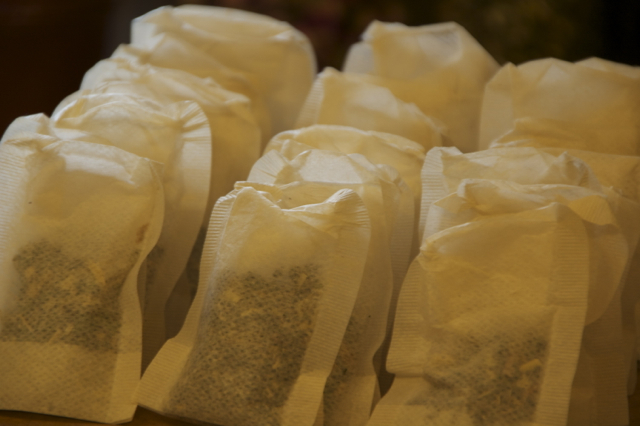 Herbal teas are lovely to include when breastfeeding as they can nourish the body. increase hydration and, if necessary, increase milk production. Here is a recipe that can be taken by most nursing mothers. One cup a day is sufficient if you have adequate milk and three is recommended for stimulating production. 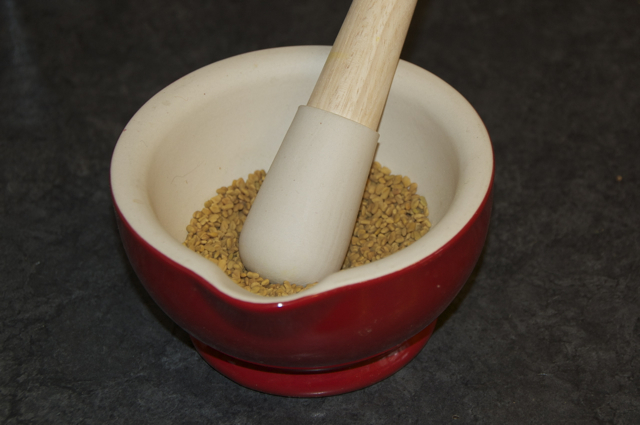 Give the fenugreek a bit of a bash in the pestle and mortar, it is very tough so don’t expect to break it down too much. 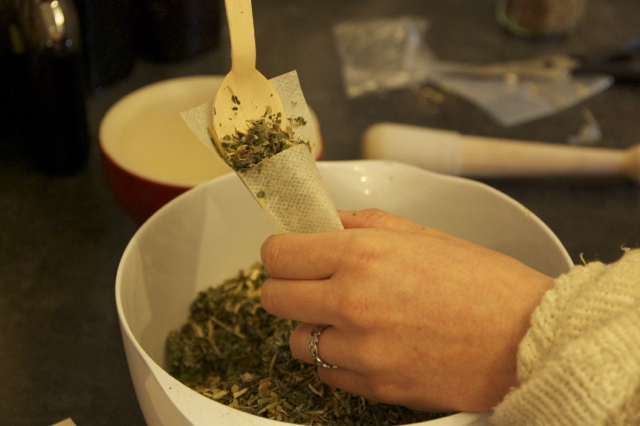 Mix all the ingredients together in a large bowl and then keep as a loose tea to use in a pot or tea ball or spoon a large heaped teaspoon into pre-made bags like those I have used here. I get mine from woodland herbs. 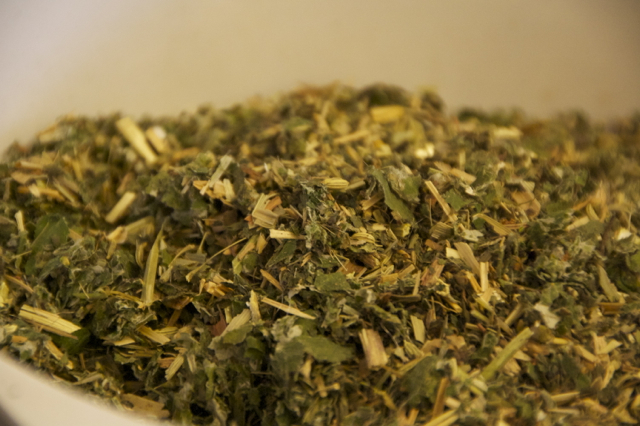 The addition of catnip, lemon balm, chamomile or spearmint to your tea blend can be helpful in soothing stress and tension for both mama and baby as well as helping to ease colic in the newborn. Fennel is also useful for easing wind and colic as when drunk by the mama, the aromatic constituents pass through the milk to the baby and relax spasms in the GI tract. In cases of reflux however these herbs may not be the most appropriate as they can be too relaxing for the sphincter muscles. The herbs mentioned are all very safe but it is worth noting a few considerations if taking them in quantity. As always if you are on any medication please consult a herbalist first. Both goats rue and fenugreek are known to lower blood sugar levels which could be problematic if you are diabetic or taking certain medicines. Some herbs are fine as culinary additions but would not be recommended in medicinal doses, for example garlic which can cause colic (in some babies even in small quantities) parsley or sage, which is fine in stuffing but in any quantity can actually dry up breast-milk production. Borage and comfrey are traditional galactagogues and nourishing herbs and would probably be fine for most people but it is considered wise to avoid them these days due to the Pyrrolizidine alkaloids (PAs) they contain which may contribute to liver damage in susceptible individuals. I would also avoid any strong essential oils whilst breastfeeding as the aromatic compounds are readily absorbed into the blood stream. I stick to using the same oils that are considered safe in pregnancy and in the same low percentages. Neroli, mandarin, lavender and chamomile are among those that are gentle and safe for most people. Informative and interesting, as always. Thank you. What a lovely article full of nurture and nourishing information for nursing mothers and babies. My daughter used nettles throughout pregnancy and added oats and fennel whilst breastfeeding. She and the babies have kept well nourished and nurtured. I liked the interview on Herb Geek and can resonate with a lot of your sentiments around being a herbalist, in these days of proposed regulation and measuring accountability based upon a western scientific model only. You are looking well and seem to be enjoying being a mother. That is interesting, I was thinking it would be nice to train as a breastfeeding support mentor, I will have to ask you more about it sometime. I hope you and the grandchildren are all well and happy. I was lucky enough to work in a birth-to-three mental health program with behavioral therapists and breast feeding specialists. They did home visits for at-risk moms, staring pre-natal, and I was their support staff. And they were my support staff as my son went to work with me. One woman made me tea with raspberry leaves and oatstraw, and interestingly, mint and tarragon. I still remember the day, pulling down my sweater after feeding, and my son saying ‘bye boobies’ in this sad tone, then patting my breast very gently. He was 18 months old. I loved breast feeding, and I loved the bond it made between mother and child. Great article, and I hope this time creates just as strong a bond for you and your son as it did for us. Ahh it must have been a bitter-sweet moment indeed! That still seems a long way off for us but I know it will come round all too quickly so I am cherishing all our cuddles now. Tarragon is an interesting addition to the tea, I have some in the garden so I will have to try it. Tarragon is a herb I only ever use for cooking really so you have inspired me to look into it’s therapeutic uses. Thanks for this article, I have been nursing for 18 months now. I started the nursing without fenugreek while pregnant and have added the fenugreek since. I have just become vegetarian after eating quite a bit of meat, mostly local, pastured. I still feed my son meat, he loves it! I am struggling with feeling hungry and also do not want to carb load or eat too many nuts. Do you have any advice on how to eat sustainably as a vegetarian while nursing? I was vegetarian in the past and did not do well with it and found i felt/thought etc much better eating meat. I would like to continue not eating meat. I’m so sorry this is such a delayed reply. I have been on maternity leave myself so haven’t had chance to check this site often. Are you getting adequate protein? I recommend having protein at every meal to help with feeling full. So beans/ lentils/ humus/ nuts/ tofu/ tempeh etc. i have breastdfed both mine on a predominantly vegan diet but I do need to make sure I’m having protein and fats regularly or I’ll get hungry and empty feeling. I find just adding some seeds to salads, almond butter to breakfast, snacking on humus and avocado etc makes a big difference.